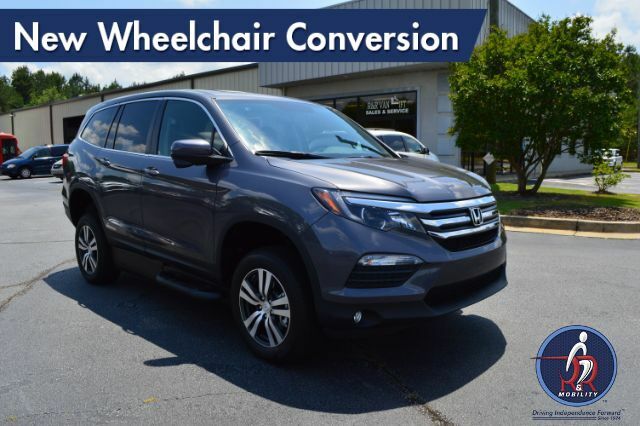 · Reverse Hinged 33.5” Door Opening With 58” of Headroom Provides Normal Line of Sight and Generous Headroom for Wheelchair Passengers. · Easy Operation Manual In-Floor Ramp with an 800 lb. capacity. · Ramp Features Side Rails for Safer Entry and Exit, Perforations for Traction and Debris Removal, and Anti-Rattle Mechanism for a Quieter Ride. · Removable Front Seat Bases Allow for Riding in the Passenger Position in the Wheelchair. · Manual 4 Point Wheelchair Tie-down System. · DuraFloor Rubberized Wheelchair Flooring with Carpet-like Texture and Backing for Reduced Road Noise. Also allows for Easy Cleaning! · Extensive Interior Sound Deadening. · A caregiver vehicle with SUV style and space.